Happy Friday! I feel like this week has flown and dragged all at the same time. I'm so ready for some weekending to just chill with family and friends but know I'll end up working a bit and getting lots of chores done. Keeping it light and not involving too much brain-work, here's a compilation of a few of my favourite kitchen tips and tricks. 1- A can of white or Northern beans in pureed soups (like my butternut squash soup here) is a great thickener and adds some satiety. And so much healthier than other thickeners like potatoes and cream. Also, I try to sneak veggies into my soups whenever I can. I puree what I can or just let some melt into the soups. 2- Chicken in the slow cooker with just a bit of seasoning is great to shred and use as a base for soups, salad sandwiches, tacos and stir fries. 3- I am the champion with doctoring up a store bought dish or dip at fresh herbs, spices, veggies for an even fresher and more delicious result. Like with guacamole, I add extra cilantro, tomato, chili and cumin. 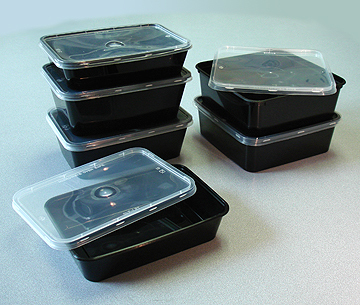 4- I save takeout containers to give other friends/family/my neice when giving them food. That way, they don't have to remember to bring back my rubbermaid containers. 5- I am the queen of re-purposing. Older apples or pears, softer berries or overripe bananas get frozen and go into smoothies, desserts or muffins. I do a sweep of my veggie drawer in the fridge when making a soup or stew. Cranberry sauces from Thanksgiving or extra pepper jellies are put into appetizers. The options are endless. So many little hacks out there. What are your favourites? Nothing like a good repurpose! I add mashed northern beans to my souls too, especially good in white chicken chili! Have a GREAT weekend! I love using the old containers too. I always save anything we get to reuse. It is so handy to have things you can later toss with zero guilt. Happy Friday Sarita! Great tips! I do #4 too and in will try your slow cooker chicken idea! Great ideas! I hate wasting food so I need to figure out the repurposing thing! I hate wasting and learning to freeze veggies, especially bananas, made me so happy. This week I did a huge portion of lean ground meat on Sunday and have used it for tacos, stuffed peppers and will move to spaghetti tonight. It sure was nice to have it ready ahead of time. I love that you are the queen of re-purposing! I'm also totally taking note of what you add to store bought guac! Sounds fantastic!! Thanks for sharing! Have a wonderful weekend, friend! xo! 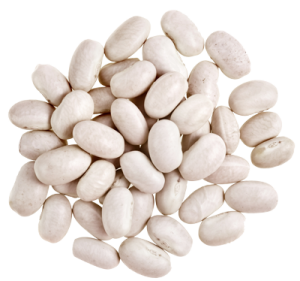 I'll have to try that white bean trick. I'm allergic to dairy so I can't add cream to soups.